There is hardly any construction work today that can be completed without using a crane. 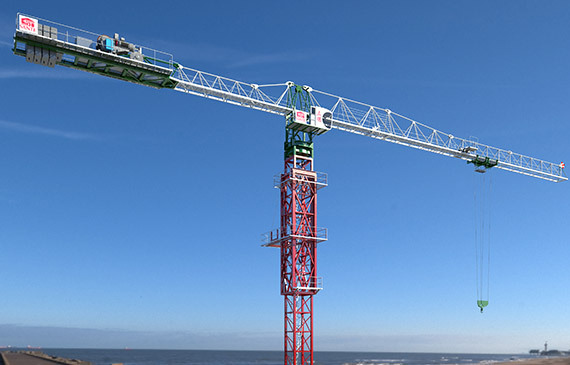 However, not all cranes are the same, as there are different types for different kinds of construction work. Basically, you decide which crane you need based on the work that needs to get done. Most cranes are mobile since they have to change places often. Also, there is a difference in height of the crane and the extension of the boom. Cranes used for home renovation can differ significantly from those used on construction sites of skyscrapers. These are all reasons why you should be informed at least about 5 types of cranes that are used in the construction industry today. 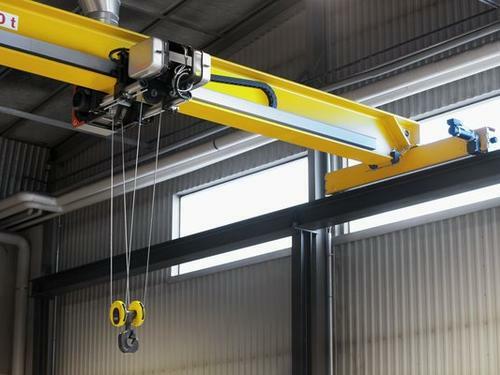 A telescopic crane’s boom functions much in the same way a ladder or your selfie stick work. The boom is comprised of several hollow tubes that extend to reach the maximum height. Because of their simple design and longevity, they are the construction industry’s favorite type of cranes, used in all kinds of builds. They have both a mobile version, when they are integrated into a truck and they can be freestanding, moving on special rails called bridges. When it comes to constructing high-rises, no crane is better than the tower crane. It is always bolted to the ground as its height prevents it from being mobile. However, this guarantees stability that is essential if you are lifting construction equipment hundreds of meters into the air. They are made from steel boxes that are stacked upon one another and then fixed to the structure they are erecting. This is done because strong wind gushes can make the crane sway dangerously, so it needs every inch of stability it can get. When it comes to smaller cranes, cherry pickers are the most versatile. They are easily mounted onto a truck so they are mobile and the basket can move sideways in almost all directions and height. 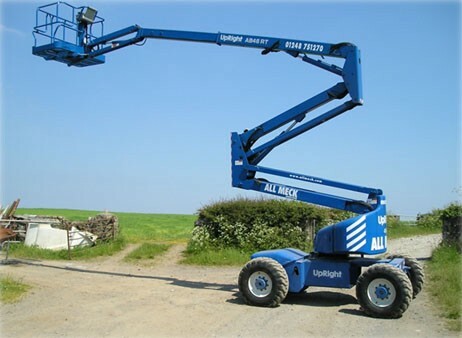 Based on the latter, there are two major categories of cherry pickers: ones that are under 11 meters of maximum working height and the ones above 11 meters, reaching up all the way to 53 meters. The name for this crane originated from its initial use in agriculture, to pick various fruit in orchards. 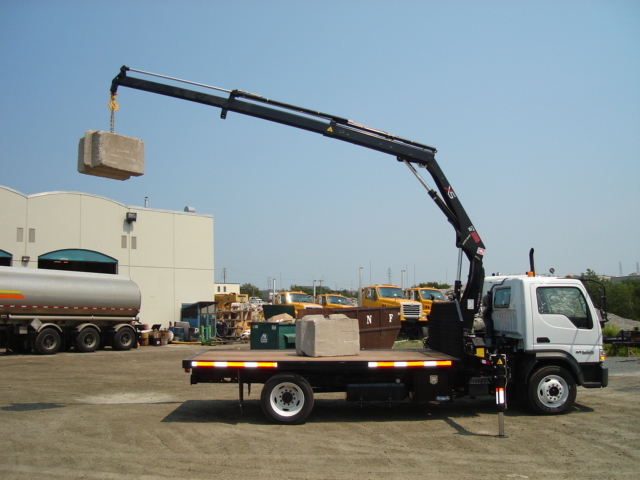 So far, we have been only discussing cranes that can be mounted onto a truck but not cranes that are integrated with the truck. Boom trucks, or as they are also known, pickers trucks, are cranes that load goods onto rubber tire trucks. They are usually placed behind the driver’s cabin and in some cases, they have lateral stabilizers. Their capacity is seldom greater than 50 tons but what they lack in power, they make up for in mobility and boom reach, making it possible to load the truck from any direction. 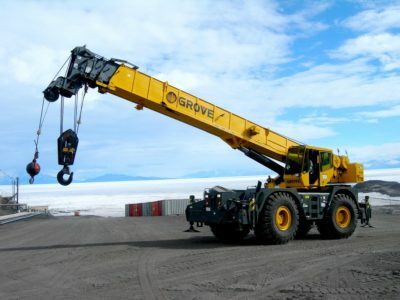 The type of heavy-duty crane that you have probably seen at a shipyard or a port is called overhead or suspended crane. They move along rails suspended tens of meter up in the air and are responsible for lifting ultra-heavy loads. That is why they have at least two or four support columns and they move around docks mostly on rails. As far as the construction industry goes, they are usually employed in mega-builds that need a lot of material transported at once. And the view from the operator’s cabin is stunning! 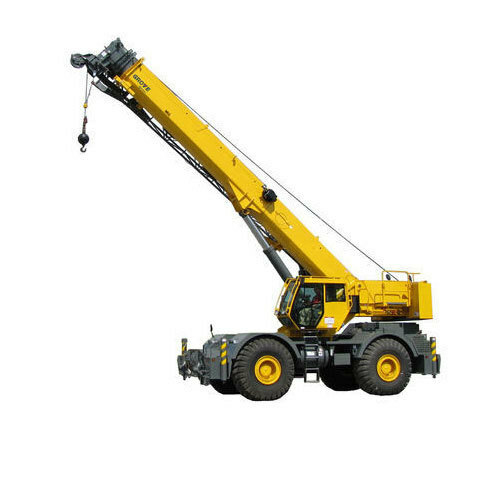 Nearly all cranes listed here can become mobile because the construction industry greatly values versatility. That is why one type of crane can have several uses but you are definitely not going to use an overhead crane to fix the roof of your house. A cherry picker is ideal for that.